Convert between the metric units of length. Find the volume of any cube. Find the volume of a cuboid. Explain the difference between capacity and volume. Find the volume of a shape made from several cubes or cuboids. Know and use the formula for volume of a prism. Convert between cubic units and liters. 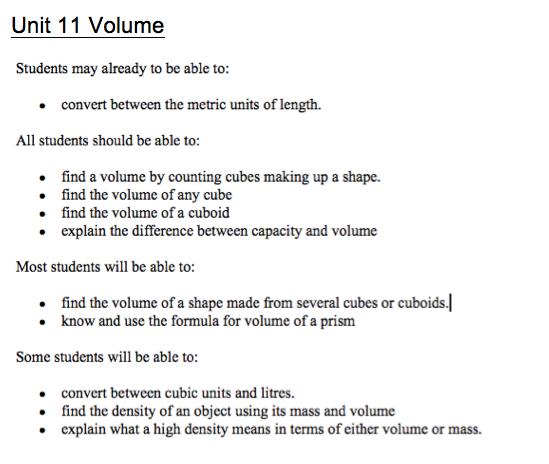 Explain what a high density means in terms of either volume or mass and find the density of an object using its mass and volume.